To learn more about our other NXP Approved Engineering Consultant services click here. Our approach to support i.MX projects is based on reusing core technology which we have developed for i.MX6, i.MX7 and i.MX8 series of application processors. This allows us to provide solutions fast and keep this risks of failures low as core CPU designs are already proven. Block diagram on the right shows generic composition of all our i.MX IP blocks. Practically any member of i.MX6, i.MX7 and i.MX8 families can be selected as the foundation of the system. This gives su quite broad selection of available processors from Single core Arm Cortex-A7 to Quad core Cortex-A53 + Dual core Cortex-A72. Various memory types going from DDR3 to DDR4LP are supported based on required memory capacities. Primarily eMMC is used as data storage solution. 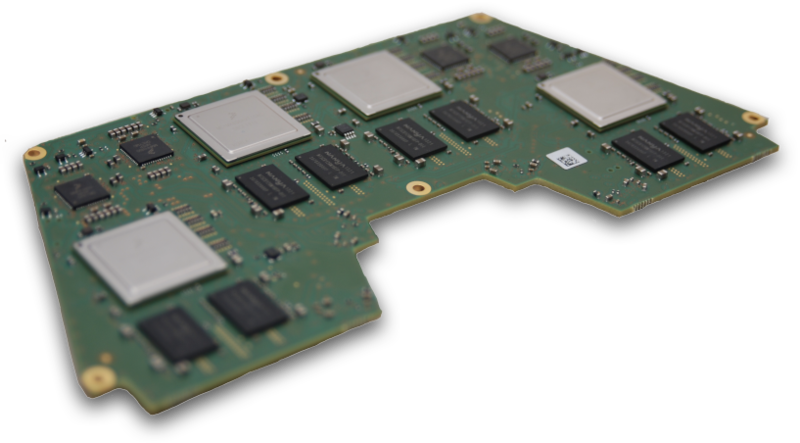 However it is optionally interchangeable with another storage solution directly supported by i.MX chips. Boot medium is either eMMC or Serial NOR Flash for applications where extreme robustness is required. 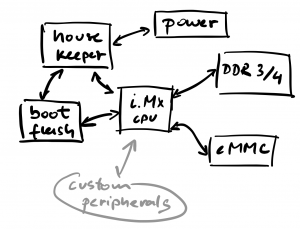 Boot process is further managed by optional on-board house keeper MCU. 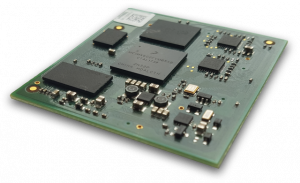 Our standard house keeper MCU – OSA is ideal solution to bring robustness to the platform. It takes case of board initialisation tasks, monitoring voltages and temperatures and controlling master reset signals. While the platform is up and running it provides external Watch Dog, but while the board is running on low power and sleep mode it controls the remaining powered on electronics. It also provides necessary functionality to provide dual boot and fail safe upgrade mechanisms by overlooking boot process of the main CPU. Our IP blocks are designed in such a way they do not limit connecting any peripherals. All pins available on i.MX are available in custom design adaption process. 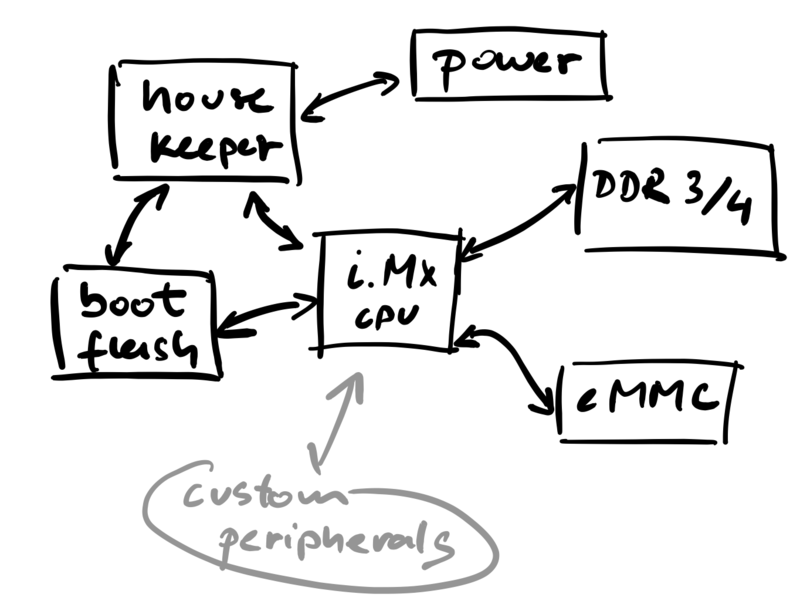 This allows us to connect all peripherals i.MX chips support without further limitations.